Merienda and coffee will be provided morning and afternoon. Lunch available at restaurants walking distance from the venue. Rev. 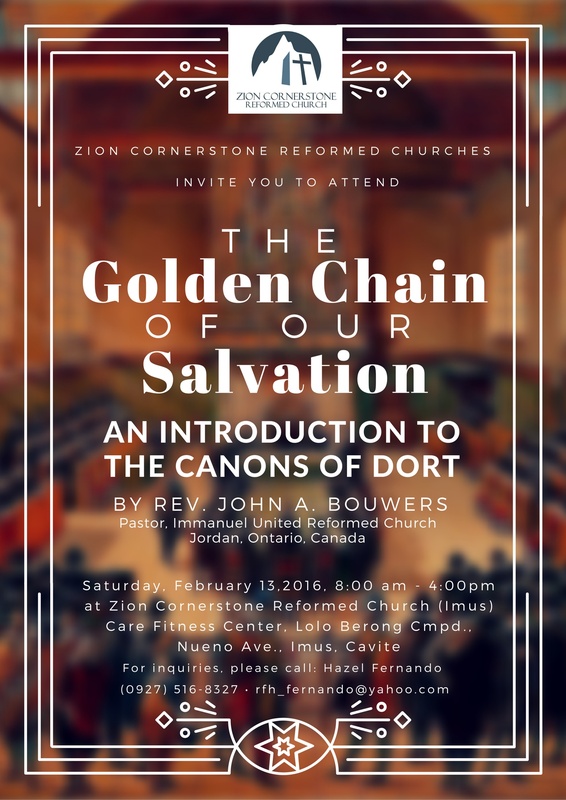 Bouwers’ book, The Golden Chain of Our Salvation: An Introduction to the Canons of Dort, will be given to all attendees in PDF format. For location map and directions to the seminar venue, go to our Location Page. For Schedule, please scroll down. For updates, see our Facebook event. 10:40 PART III: How Bad Are We, Really?